Mitt Romney, the 2012 Republican presidential nominee, announced Friday afternoon that he will vote for Senator Ted Cruz in the Utah caucus next Tuesday. In a statement posted on Facebook, Romney wrote that his decision was based on the fact that Cruz is the only candidate who could defeat the "Trumpism" movement. "Today, there is a contest between Trumpism and Republicanism. Through the calculated statements of its leader, Trumpism has become associated with racism, misogyny, bigotry, xenophobia, vulgarity and, most recently, threats and violence. I am repulsed by each and every one of these," he said. 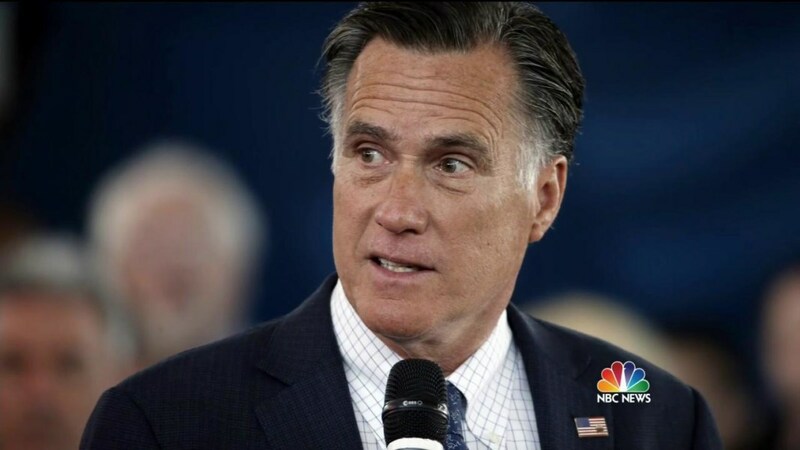 Sources close to Romney tell NBC News that his vote does not count as an endorsement. The former Massachusetts governor joins a list of Republicans who are now backing Cruz in an effort to prevent Trump from becoming the face of their party. In the past week South Carolinian's Sen. Lindsey Graham and Gov. Nikki Haley expressed their support for Cruz without giving him a full blown endorsement. In response to Romney's commitment, Cruz tweeted his thanks. 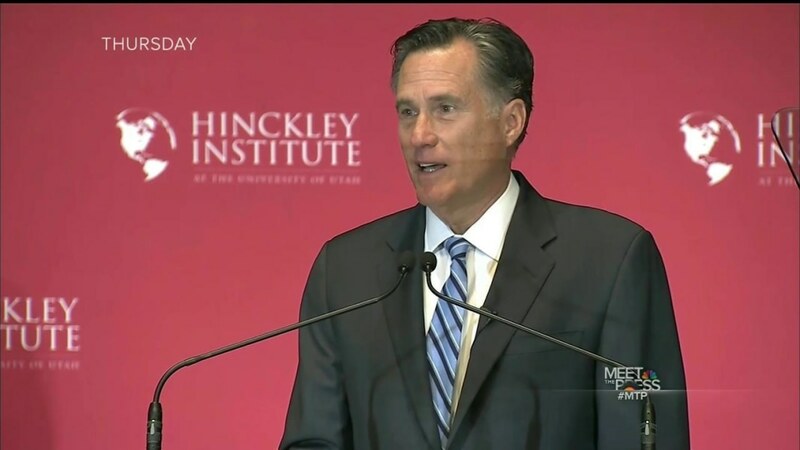 Earlier this month Romney gave a scathing speech against Trump, calling him a "phony" and pointed out his tendency to flip flop on several conservative issues. Since then, Romney played an active role on the campaign trail by recording anti-Trump robocalls for Sen. Marco Rubio and campaigning with Gov. John Kasich. And now, he he's helping out Cruz in Utah. 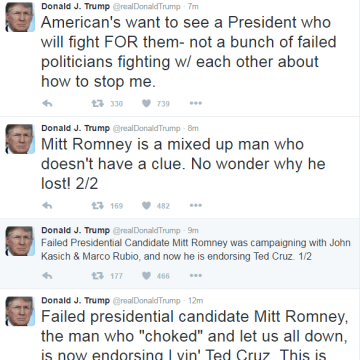 Romney did not say that he's voting for Cruz to make sure he wins the nomination. Instead, he hopes his vote will help lead to a contested convention to "nominate a Republican." Romney says that he would have voted for Kasich in Ohio, but warned that supporting him now will only fuel Trump's chances of winning the nomination. "I like Governor John Kasich," he said. "He has a solid record as governor. I would have voted for him in Ohio. But a vote for Governor Kasich in future contests makes it extremely likely that Trumpism would prevail." Kasich reacted to the news while campaigning in Orem, Utah. "Look, Mitt's fine, this is his view and, you know, he's entitled to it. And frankly I don't think anybody's going to have enough delegates to get to the convention," he said to a group of reporters. 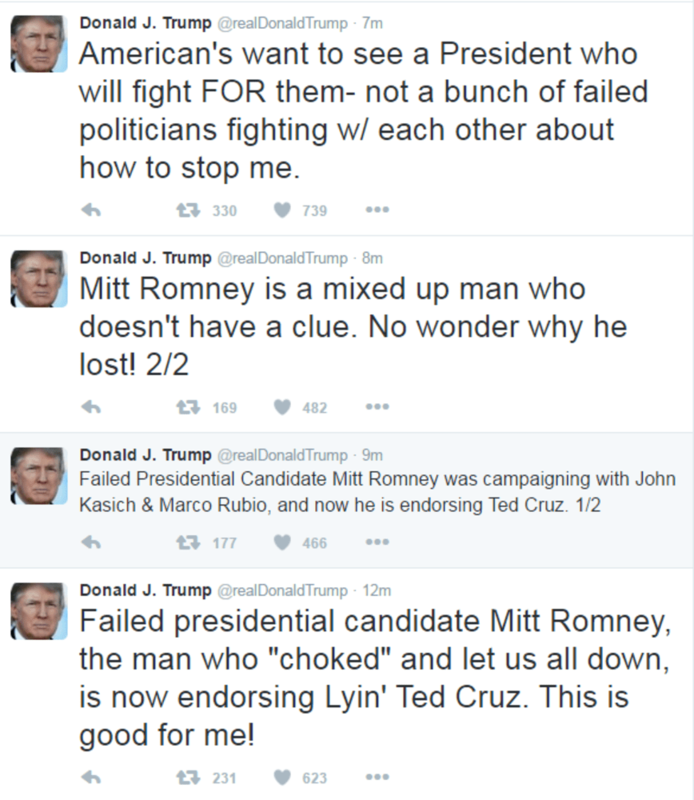 Shortly after Romney's announcement, Trump took to Twitter to express his opinions. Two of Trump's tweets have since been deleted from his account.